1: slide both the front and back of your tie, plus the placket of your shirt into the clip. 2: Clip the tie between the 3 and 4 buttons of your shirt, or around the middle or bottom of your sternum. 15: Add a little flair by blousing the top of your tie. This Infinity tie clip is the perfect addition to any ensemble. Each tie clip is delicately made by hand. Tie clip is made of brass free from nickel,cadmium, and lead ,plated by corrosion protection steel. 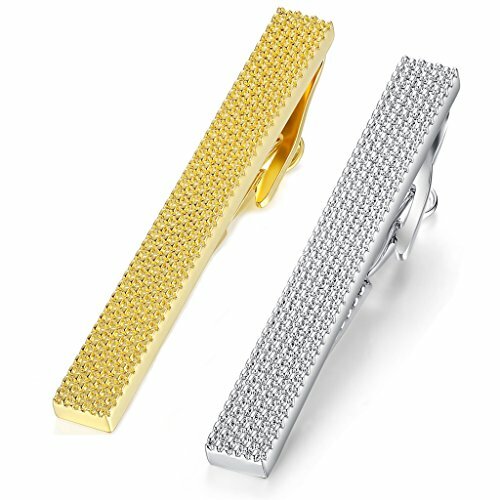 We gurantee great quality on all our tie clips, which can stay long-time color retention and durable. Color of tie clips: Silver,Gold. Length(Approx): 5.4cm. View More In Tie Clips. If you have any questions about this product by Honey Bear, contact us by completing and submitting the form below. If you are looking for a specif part number, please include it with your message. By Paper Anniversary by Anna V.